Engineering design begins with our highly skilled professionals conducting a thorough analysis of your operations in order to offer the appropriate innovative concepts and solutions to enhance your in-plant material handling function. Upon completion of this analysis, SIA assembles the resources appropriate to your specific needs, depending on the size, scope, and level of sophistication required to enhance your plant’s efficiency and productivity. System concepting and design is the process that allows SIA to tap into our experience and resources to develop a material handling solution that will satisfy your particular requirement, based on the needs analysis. It is at this stage that the exploration of possible system alternatives will be developed and evaluated, within the limits of justifiable approaches and available time. Concurrent with this activity will be the formulation of a plan for your operation to use technologies and procedures to optimize system utilization. sophisticated software, we detail the concepts, select equipment, and organize project schedules. After SIA’s project engineers finalize the design details we initiate and oversee the purchase and/or manufacture of both existing and custom hardware components. 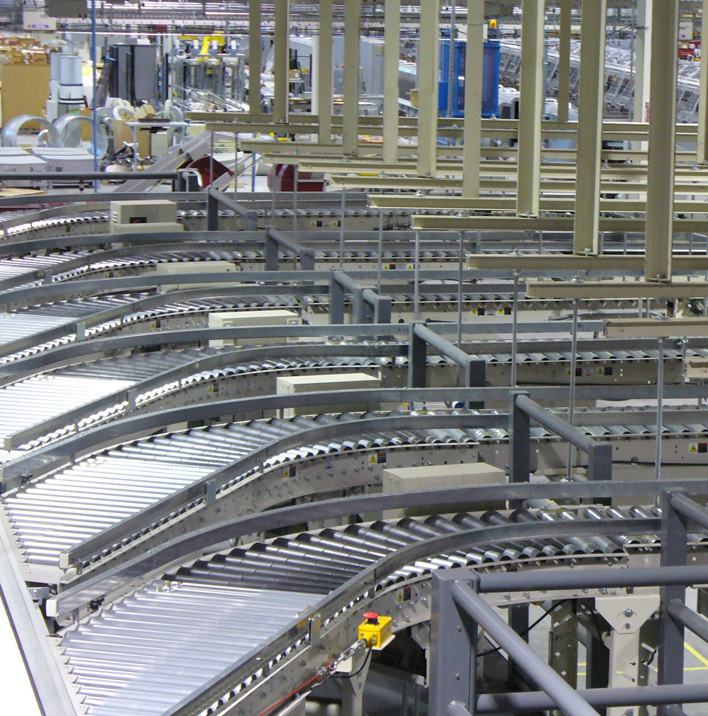 Since the mechanical equipment of today’s material handling systems are only as effective as the controls and software that run them, SIA ultilizes highly experienced controls engineers to design the integrated operating systems. Our systems can interface with your host computer, providing graphics and reciprocal information flow, resulting in significant improvement in visibility and efficiencies. SIA team members manage and oversee your entire project from concept through implementation. Our expert supervision ensures smooth transitions and a high level of quality through every step -- design approvals, purchasing, subcontracting, installation, integration of subsystems and peripheral equipment, system commissioning, training, and ultimately, final customer acceptance. A critical step in developing a functional and reliable material handling system is the selection of the appropriate equipment to utilize for a particular application. SIA has a wealth of experience and extensive industry relationships that allow us to select the most suitable hardware and components from proven equipment manufacturers. 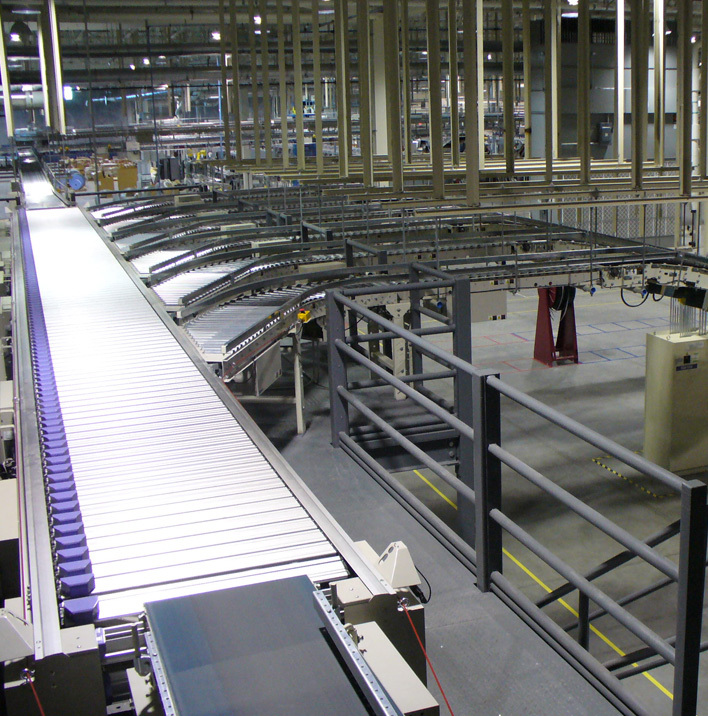 If the solution to your plant’s material handling function demands specialized equipment or accessories not commercially available, SIA will use standard industry components to design and fabricate innovative, customized products which will meet or exceed your requirements while ensuring operational integrity and reliability. SIA maintains flexible alliances throughout the United States, Canada, and Latin America, with subcontractors whose only business is the field installation and servicing of material handling systems. The SIA project manager oversees the field work of these subcontractors -- always striving to minimize the impact to your existing equipment, operations and schedule -- to ensure the highest quality and prompt completion of the work. We understand today’s safety and security concerns and will work with your internal experts to ensure a safe and secure working environment. SIA strongly believes that one of the key elements of the safe, efficient utilization of the material handling systems we design and build is the classroom and hands-on training of the operators and supervisors who will be responsible for running the new system. When you require your operators and supervisors to participate in this program, you ensure proper operation of your new system, resulting in the maximum benefit from your investment. An SIA professional administers this program during the project’s final stages, just prior to and during operational start-up. In order to achieve maximum uptime and utilization of your new material handling system, we strongly encourage your maintenance personnel to actively participate in our hands-on maintenance training program, tailored to keep your system in excellent running condition at all times. We cannot stress enough how important it is to ensure your material handling system is regularly maintained by knowledgeable staff who have completed our training program, usually during the installation and/or commissioning phase of the project. Regular maintenance performed by trained staff will increase longevity and reliability of your material handling system. When provided for in the purchase agreement, an SIA engineer will return to your plant after the first several months of operation to verify that the equipment is being operated and maintained properly according to our specifications. This special service is designed to ensure that you are getting maximum performance from your material handling system and that your substantial capital investment is protected. Using sophisticated software, we detail the concepts, select equipment, and organize project schedules. After SIA’s project engineers finalize the design details we initiate and oversee the purchase and/or manufacture of both existing and custom hardware components. 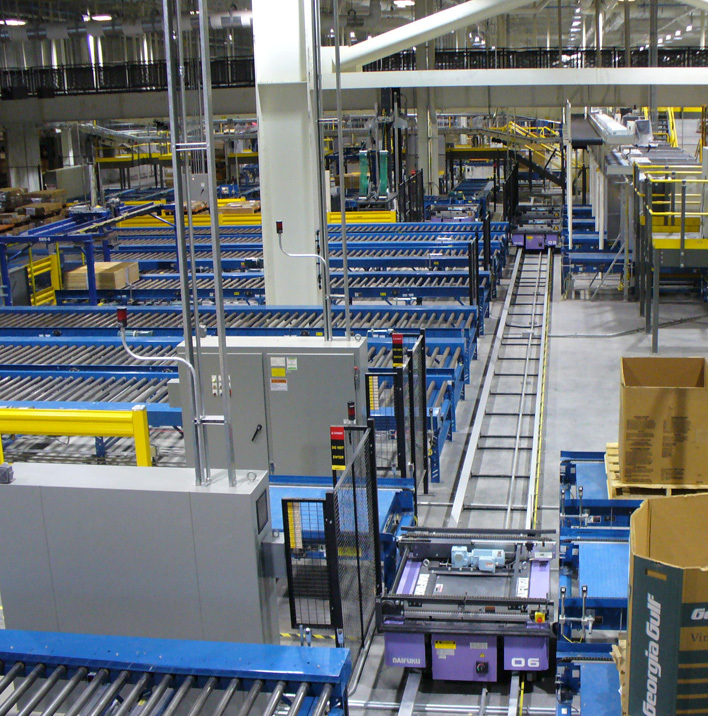 Since the mechanical equipment of today’s material handling systems are only as effective as the controls and software that run them, SIA utilizes highly experienced controls engineers to design the integrated operating systems. Our systems can interface with your host computer, providing graphics and reciprocal information flow, resulting in significant improvement in visibility and efficiencies. SIA team members manage and oversee your entire project from concept through implementation. Our expert supervision ensures smooth transitions and a high level of quality through every step of the project. Including– design approvals, purchasing, subcontracting, installation, integration of subsystems and peripheral equipment, system commissioning, training, and ultimately, final customer acceptance. 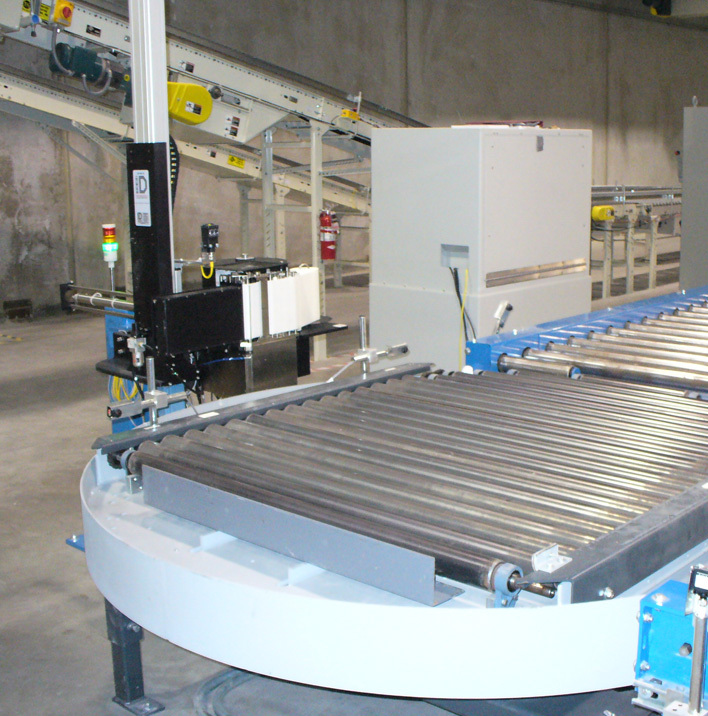 A critical step in developing a functional and reliable material handling system is the selection of the appropriate equipment for a particular application. SIA has a wealth of experience and extensive industry relationships that allow us to select the most suitable hardware and components from proven equipment manufacturers. SIA maintains flexible alliances throughout the United States, Canada, and Latin America, with subcontractors whose only business is the field installation and servicing of material handling systems. The SIA project manager oversees the field work of these subcontractors— always striving to minimize the impact to your existing equipment, operations and schedule— to ensure the highest quality and prompt completion of the work. We understand today’s safety and security concerns and will work with your internal experts to ensure a safe and secure working environment.